A pioneering band in many ways, Queen assembled a brash, theatrical stage act well before glitter bands emerged as a potent pop vehicle. In 1974, with an attention-getting U.K. tour behind them, Queen was looking forward to bigger gigs in the U.S. as the Queen II album was released. On April 12, the band began its first American tour, supporting Mott the Hoople at Regis College in Denver. The English newcomers were received rather quietly at first. Folks in the audience had obviously heard of Mott, but they weren’t too sure of Queen frontman Freddie Mercury wearing satin and nail polish. By the end of the set, however, they were won over. Mercury’s outrageous on-stage theatrics set a new standard for rock showmanship. The U.S. tour was abandoned when May contracted hepatitis, but the untimely reversal worked to Queen’s benefit. 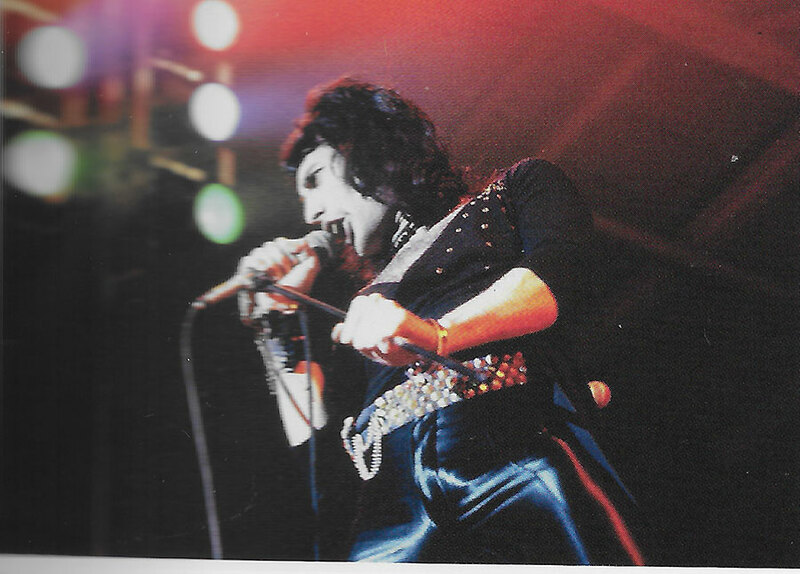 The members returned to England, and what emerged from their enforced hiatus was a fresh group effort, Sheer Heart Attack, and the hit single, “Killer Queen.” Queen went on to international stardom, and the songs “Bohemian Rhapsody,” “We Will Rock You,” “We Are the Champions,” “Another One Bites the Dust,” “Crazy Little Thing Called Love” and many others became mega-hits. Intensely private about his personal life, Mercury never revealed how or when he contracted AIDS. He died in November 1991, only one day after publicly announcing that he was HIV-positive, a fact he had concealed from nearly everyone.